Spring loaded bolt can be cut to suit site requirements. Supplied with Cisa 70mm euro profile double cylinder. 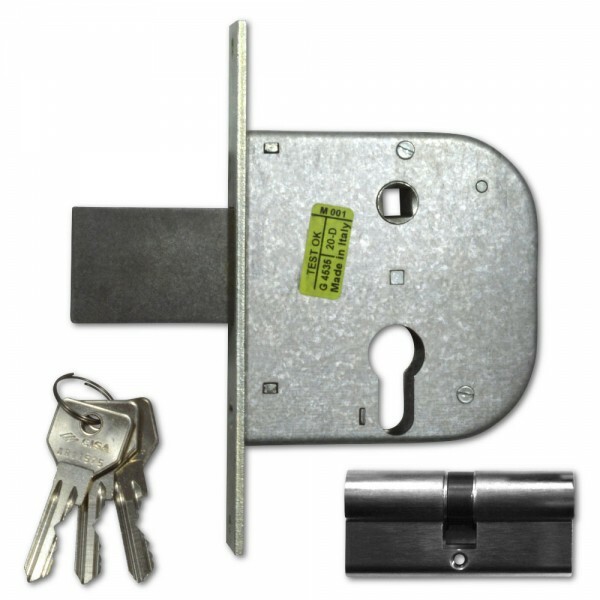 The bolt is withdrawn by handle from either side or by key from either side using euro profile double cylinder. The bolt will spring back to the 48mm extended position when the key is released unless the bolt is deadlocked by a full turn of the key towards the forend which throws the bolt out an extra 12mm to 60mm.